So, it’s finally here. The yardstick by which so many will undoubtably measure the Bianconeri’s success this season. 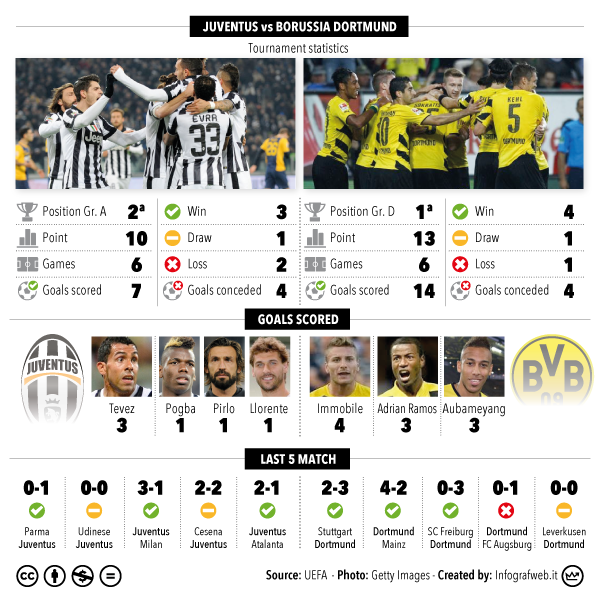 Juventus v Dortmund, the last-16 of the Champions 2014/15. It’s been 71 days since the draw was made; That’s 6,134,400 seconds or 102,240 minutes or 1704 hours….not that I’ve been counting. 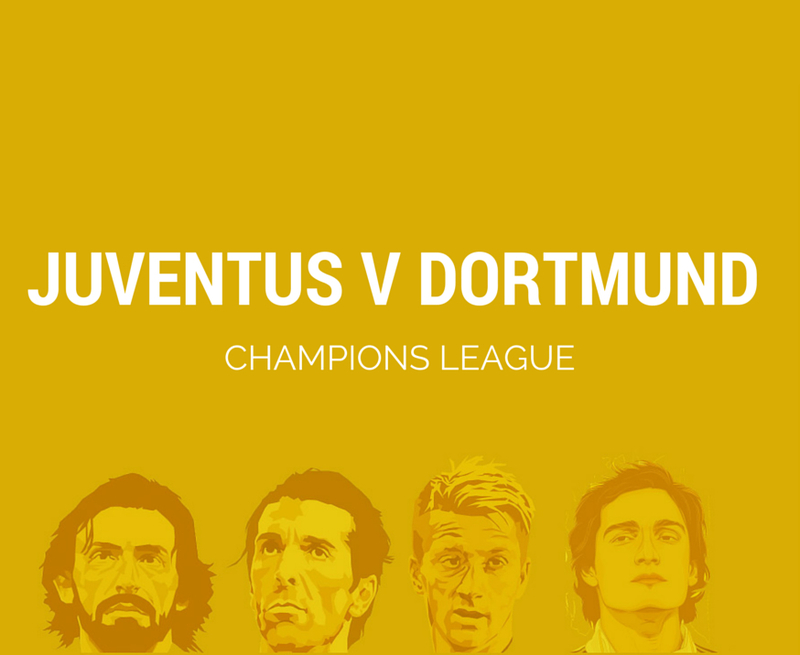 Naturally, a Champions League game in the 2010s for Juventus brings with it some nerves. 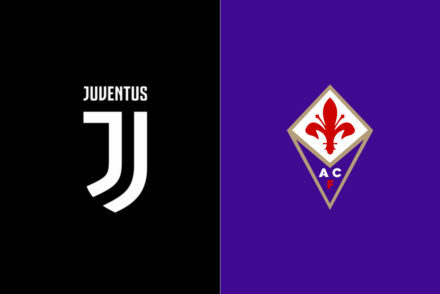 Couple that with Borussia Dortmund’s success (both historically and currently, and especially against Juve) – and one can see why this isn’t just a game against a Bundesliga relegation dweller. In fact, though BvB are still in a low position in the Bundesliga, they have turned things around as of late. Luckily, Max Allegri has mostly a full squad to choose from. The only injured players are the long term injured guys, Kwadwo Asamoah and Romulo. 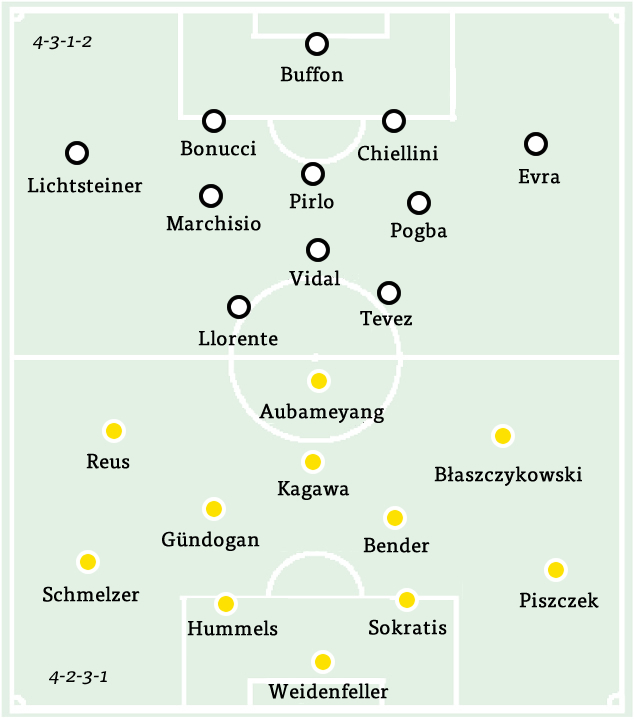 This means we will likely see the 4-3-1-2 with Allegri’s preferred starters. Gianluigi Buffon in goal is a guarantee, as always. Stephan Lichtsteiner and Patrice Evra are our best full backs, so expect to seem them at right and left back, respectively. 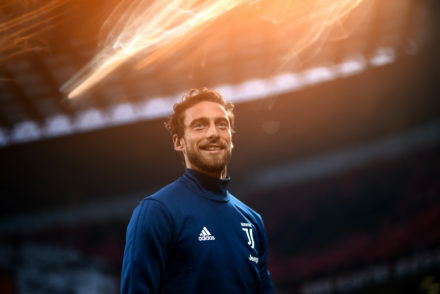 Leonardo Bonucci and Giorgio Chiellini are the starting centerbacks, but due to Dortmund’s pace and propensity to counter I wouldn’t be shocked if Martin Caceres gets the nod at centerback. Andrea Pirlo will reprise his regista role, while Claudio Marchisio and Paul Pogba will start in central midfield. Arturo Vidal is expected to be healthy and ready to play for this match, so barring any negative developments he will be in the semi-trequartista role. The only real area of mystery in this lineup is up top. And the mystery is: who will start alongside Carlos Tevez? Fernando Llorente did score vs Atalanta, but he had a poor game on the whole. Meanwhile, Alvaro Morata has seemingly replace Llorente as the preferred partner for Tevez, but this trend isn’t super concrete and there have been times where Llorente surprisingly gets the start ahead of Morata. The fact that this is a Champions League fixture, and Llorente has experience and a good record in Champions League for Juve, could push Llorente over Morata. However, based on recent form, Morata starts.